Sara Mohr-Pietsch visits London's Roundhouse to meet a specially selected group of 15 choirs gathering ahead of 2015's Voices Now festival. Plus Meet My Choir and a Choral Classic. 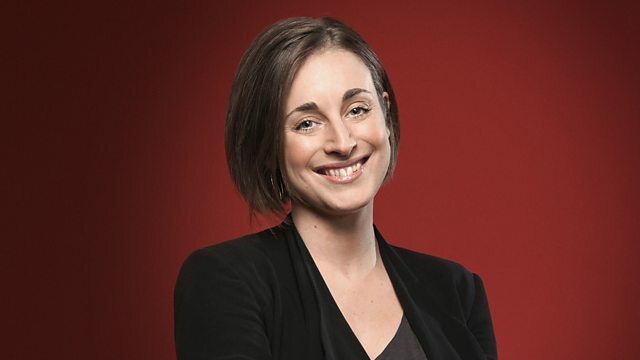 Sara Mohr-Pietsch visits London's Roundhouse, where a specially selected group of fifteen choirs are gathering ahead of the Voices Now festival in May. Sara joins them as they meet for the first time, begin working together and start making plans for the festival. Meet My Choir features The Buckden Singers, who introduce themselves from their home in the Yorkshire Dales. At five o'clock, Sara's Choral Classic comes from Australia. Conductor: Sir John Eliot Gardiner. Choir: Monteverdi Choir. Performer: Chagossian Drums. Choir: Ifield Community College Choir. Conductor: Patrick Allen. Performer: Sam Lee. Music Arranger: Sam Lee. Choir: Roundhouse Choir. Singer: Timothy Jones. Conductor: Harry Christophers. Choir: The Sixteen. Singer: Robert Macdonald. Singer: Mark Dobell. Orchestra: The Symphony of Harmony and Invention. Conductor: Riccardo Muti. Choir: Ambrosian Singers. Orchestra: Philharmonia Orchestra. Director: Lone Larsen. Choir: Voces Nordicae. Orchestra: Orchestra of the Age of Enlightenment. Choir: King's College Cambridge Choir. Conductor: Stephen Cleobury. Choir: Polyphony. Conductor: Stephen Layton. Singer: David Wilson‐Johnson. Director: Peter Phillips. Choir: Tallis Scholars.